On 14th of January 2017 the Visegrad School of Political Studies, the European Academy of Diplomacy and Robert Bosch Stiftung organized, in cooperation with Jagiellonian University, international conference „The EU Migration & Refugee Crisis” which gathered more than 200 young leaders, representatives of media and academia. During 3 panels, participants had opportunity to discuss main challenges arising from the EU migration and refugee crises, perceptions of immigration in Visegrad states, attitudes towards refugees, islamophobia and the rise of far-right parties in Europe. 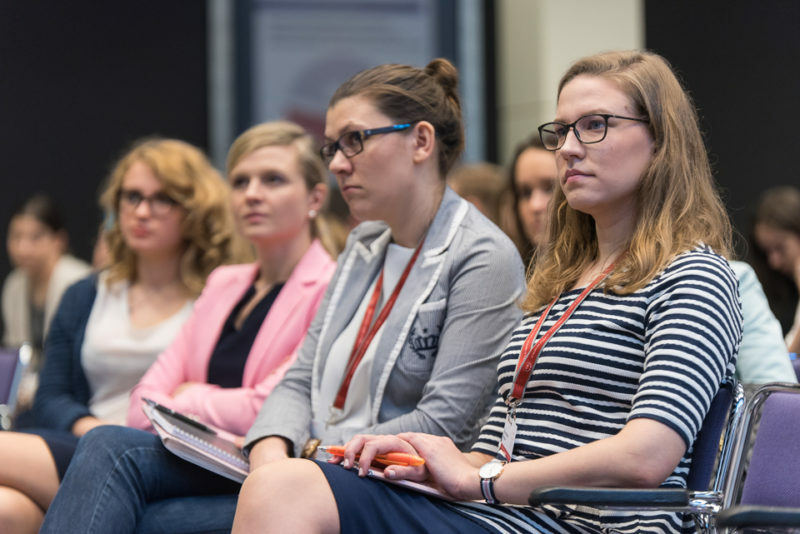 The participants hailing from 39 countries had the opportunity to exchange views with experts from Greece, Tunisia, Poland, Hungary, Czech Republic and Germany. The conference was organized as part of the VSPS Migration Program and the external session of the Academy of Young Diplomats. The event was possible thanks to generous support of our partners: Konrad Adenauer Stiftung in Polen, Robert Bosch Stiftung, Council of Europe, Fundacja Współpracy Polsko-Niemieckiej and Instytut Nauk Politycznych i Stosunków Międzynarodowych UJ. To watch the panel discussions, please click on this LINK.